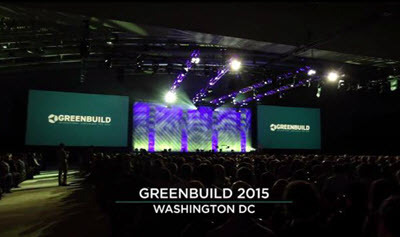 The 2015 Greenbuild International Conference and Expo was bigger and better than ever. Filmmaker James Cameron was in attendance and was the headline speaker. An increase in attendance this year, to 19,058 caused many sold out sessions. Along with James Cameron, headline speakers included Dr. Deepak Chopra and U.S. Secretary of H.U.D, Julian Castro. By 2018, green construction will account for more than 3.3 million U.S. jobs. Green construction jobs will generate $190 billion U.S. dollars in labor earnings alone. By 2020, the entire new construction market is expected to be worth $10.3 trillion dollars. Close to 40 percent of that new construction will be green — almost $3.8 trillion dollars. As usual, we did get to explore the local sights. The Capitol may be covered in scaffolding, but it was still an amazing thing to behold. 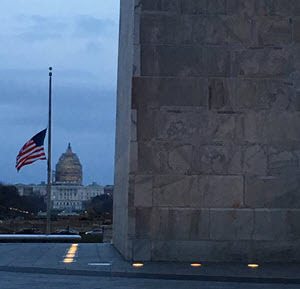 Washington D.C. is a place every American should try to see at least once. If there was more time and it was a bit warmer it could have been even better. There is no end to the monuments and historical places to see. There was a lot of interest in our controllers and water tank level sensors. The number of installations that still use faulty mechanical float switches is amazing. The look of joy on people’s faces when we explain the accuracy of our systems, the amount of water and money they can potentially save, and the total reliability, was nice. When they realize what we offer, the most common response is something like “if we had only known earlier…”. 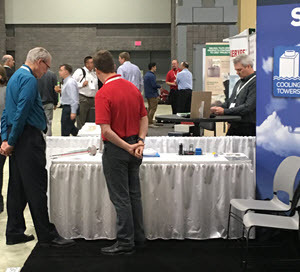 Our involvement with local utilities to offer incentive programs, and rebates with a comprehensive plan to monitor and reduce water usage and waste, found a lot of interested parties. Remember, get in touch if you want to work with us and your local utilities to start a program in your area. The conference itself was jam packed and the people there were serious about protecting the environment while insuring that their businesses keep up to date and responsible…and viable. Real businessmen and women seeking economic growth and environmental responsibility at the same time is becoming a force to reckon with. We are proud to do our part, supplying advanced products to help save water, built in the USA by proud Americans. All in all it was an enjoyable few days talking to likeminded people who can see the economic growth happening in the Green sector and want to grow business while stepping up to the plate to take responsibility for the future of our planet. USGBC, the presenter of Greenbuild, is committed to a prosperous and sustainable future through cost‐efficient and energy‐saving green buildings.